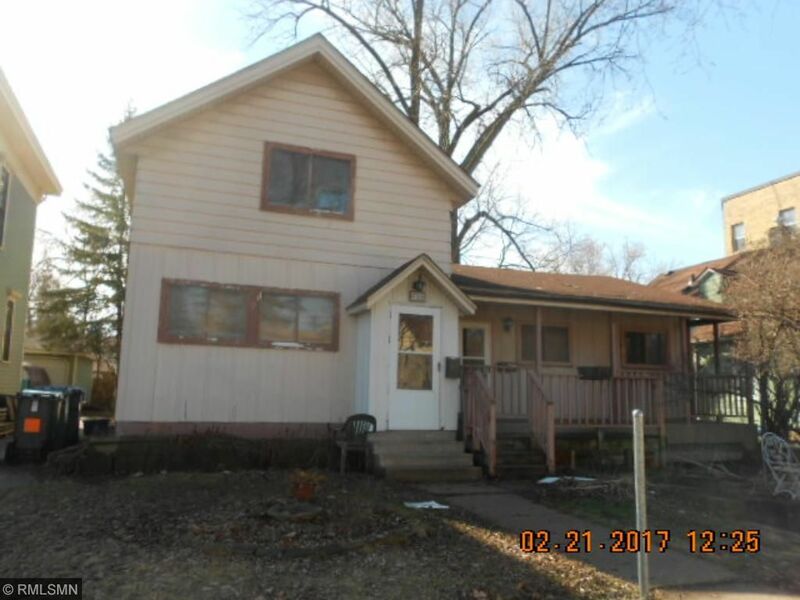 Hard to find Duplex close to U of MN. Extra 50x66 Lot (618.5) included in price behind the structure with separate PID for expansion or garage? Hardwoods, one unit with Studio & one bedroom. Needs updating, old 2 car garage in existing building. Sold As Is - No warranties.